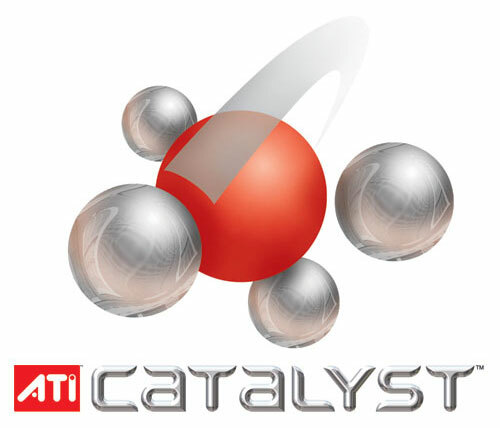 When looking at the performance offered by the Catalyst 12.6 WHQL one can see that it is much like the performance of the Catalyst 12.6 Unofficial Beta from june 4. Only regarding the game Call of Duty: Modern Warfare 3 and the power consumption we noticed what we can actually call a difference. That said under Call of Duty the performance of the WHQL driver was 23 % higher than the Beta driver. Under DIRT 2, Dragon Age II and Starcraft 2 there was a little increase of 2 % in performance otherwise you see obsolutely nothing with a variation of less than 0.6 % in all other games/benchmarks. About the power consumption, the 12.6 Beta driver managed to keep the system 5 Watts under what does the 12.6 WHQL, under load it is about 5 Watts too. Now a direct comparison between the two lastest WHQL drivers - Catalyst 12.4 and Catalyst 12.6 - shows some more interesting stuff. A closer look at the synthetic benchmarks shows that there is a noticeable performance increase in 3DMark 11 and 3DMark Vantage where the score are respectively 1.32 and 1.17 % higher. Otherwise there is almost no difference at all with 1 more point in Unigine Heaven's score and 12 more under TessMark. Shifting the focus to games there you see that the 12.6 WHQL are worth the upgrade where two games benefits from a more than 20 % improvement. Therefore you will see a 21 % performance improvement under Call of Duty: Modern Warfare 3 and almost 28 % under The Elder Scrolls V: Skyrim. Looking at other games the 12.6 WHQL are a bit better than the 12.4 WHQL with a range of 0.7 up to 5 % improvement. Comparing now the 12.7 Beta (june 25) to the 12.7 Unofficial Beta from june 12 we see the same tendency as with the Catalyst 12.6s but no Call of Duty effect this time. Which means that the performance between the two drivers are almost the same close to three games where the gap was "significant". Indeed, we lost 4 fps in Call of Duty going from 167 fps to 163. Then performance under StarCraft II and Dragon Age II raised by 4 % over the 12.7 Beta from june 12. That said there is nothing more to add as under all other games/benchmarks the variation is lower than 0.5 %. Meanwhile thanks to those few percent more it brings the Catalyst 12.7 Beta from june 25 to the top of our AMD driver charts with a performance index of 130.25. Keeping your drivers up-to-date is really important if you're a gamer because you benefit not only from better performance but also from increased energy efficiency. This Catalyst driver 12.7 Beta from June 25 (8.981.2.1) is the best AMD driver because it fixes a lot of performance glitches and also has the best performance ratio. But if you are afraid of the word "Beta" then go for the Catalyst 12.6 WHQL that is the best WHQL driver from AMD so far.